Home > STORE > DRY FOODS > NATURE ZONE IGUANA BITES - 9 oz. 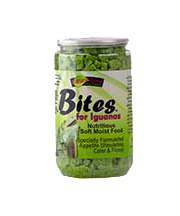 Nature zone pet products iguana bites is a soft moist ready to eat food designed for green iguanas. These small bite sized soft gel foods are easy for the reptile to eat. The bite contains protein, calcium and essential nutrients. It is Passion Fruit flavored to keep their interest. 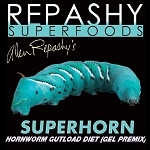 Specially formulated appetite stimulating color and flavor.